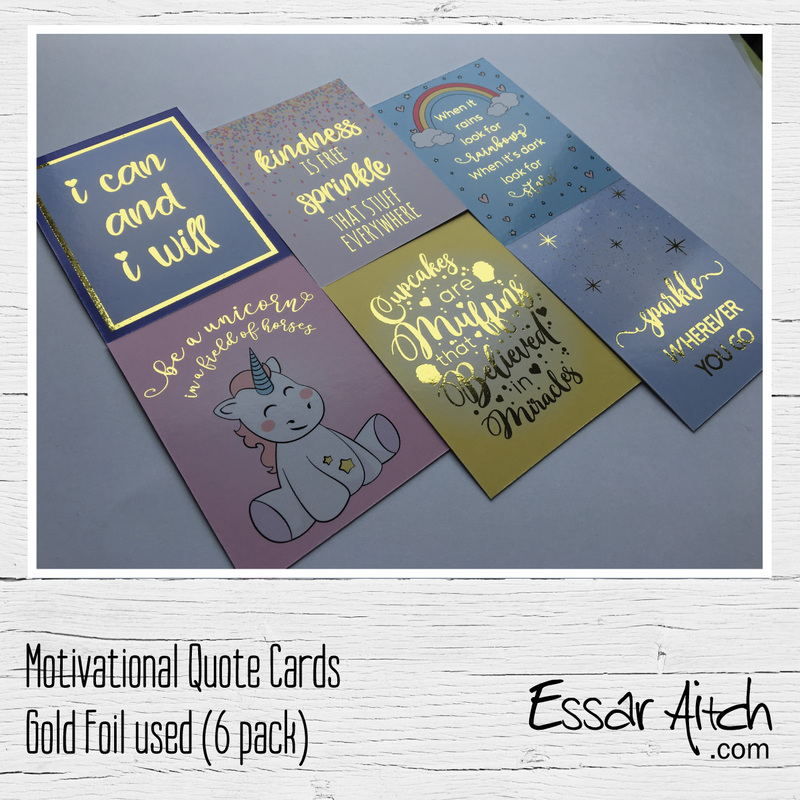 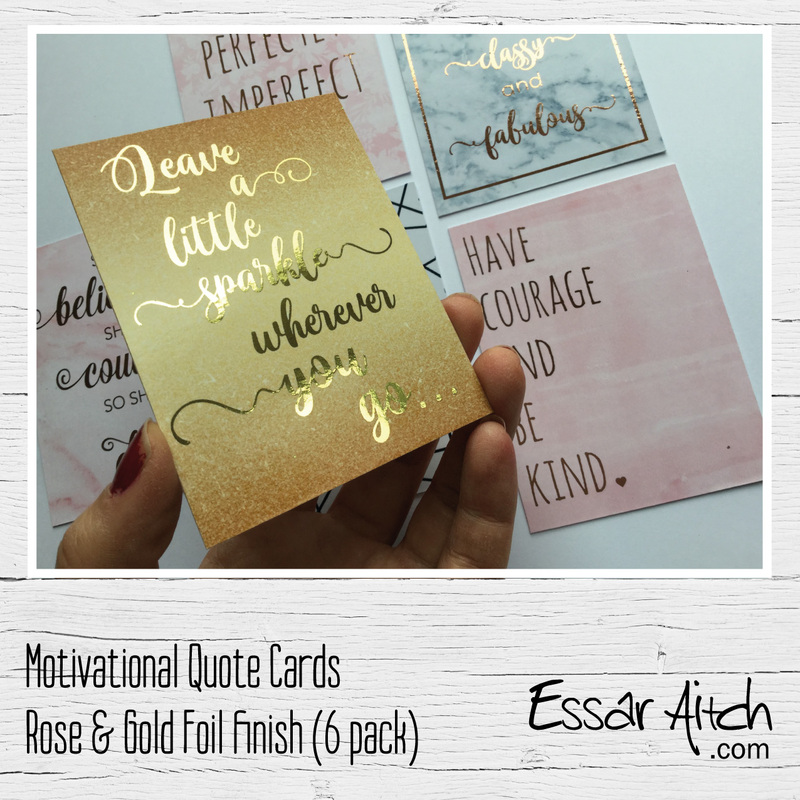 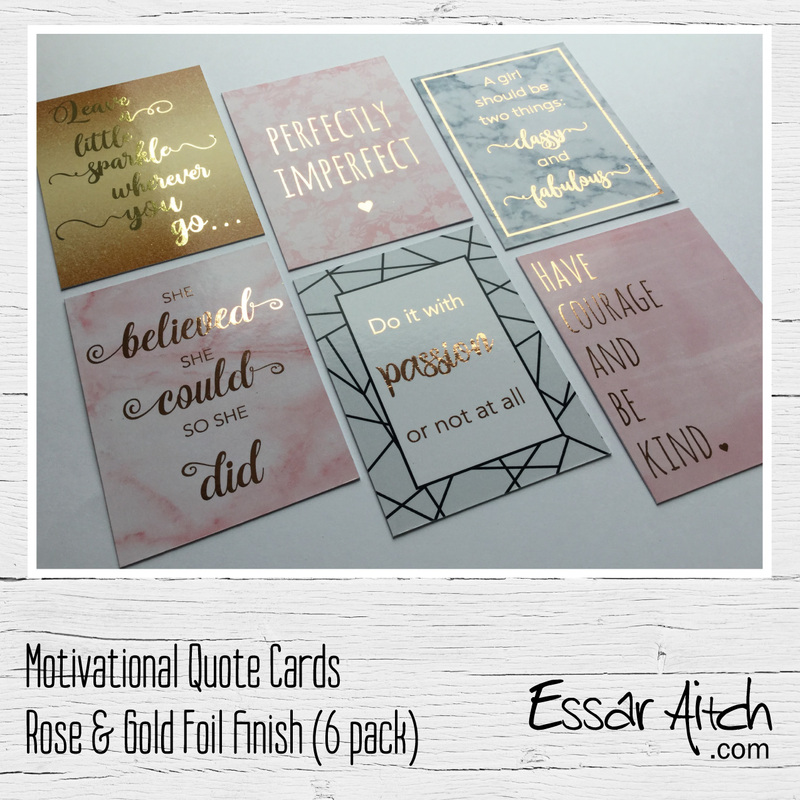 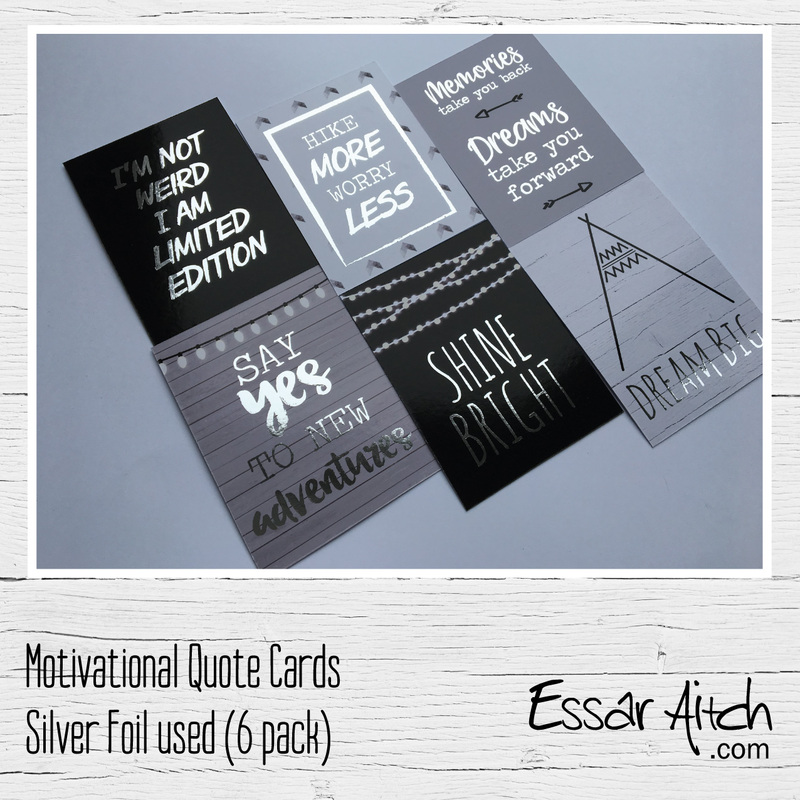 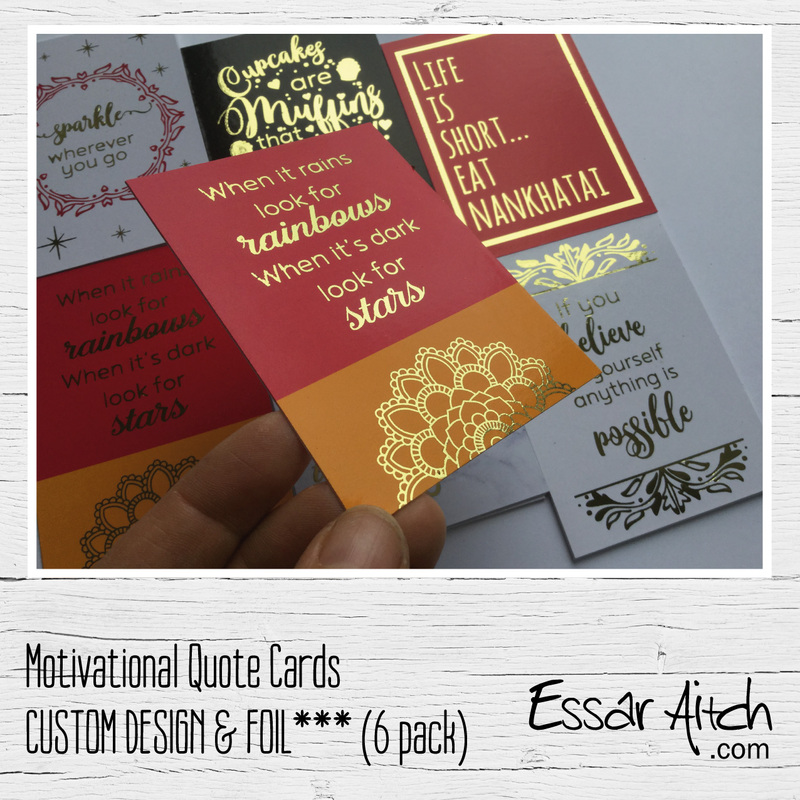 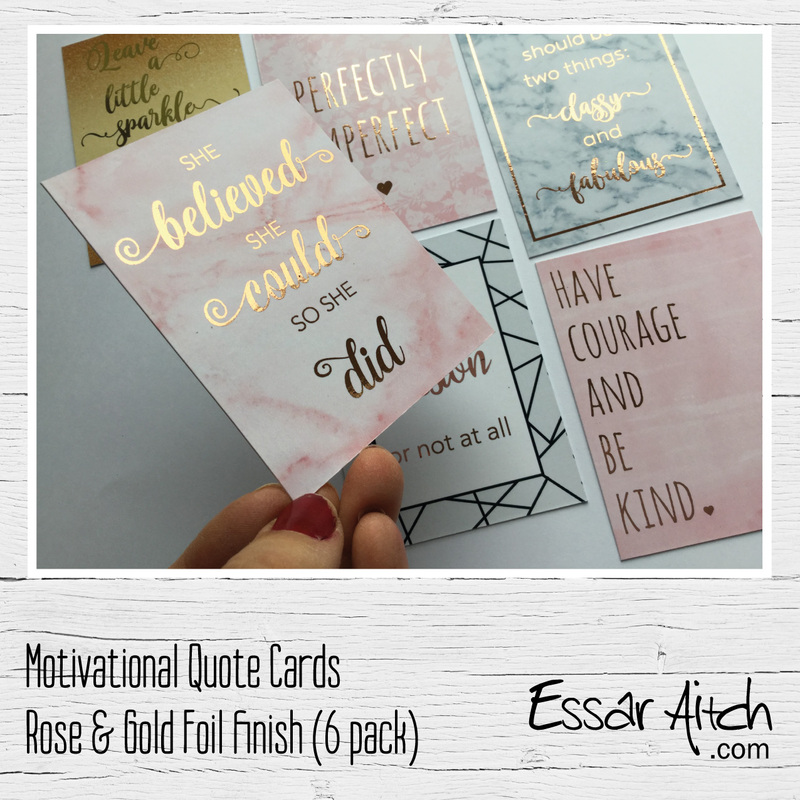 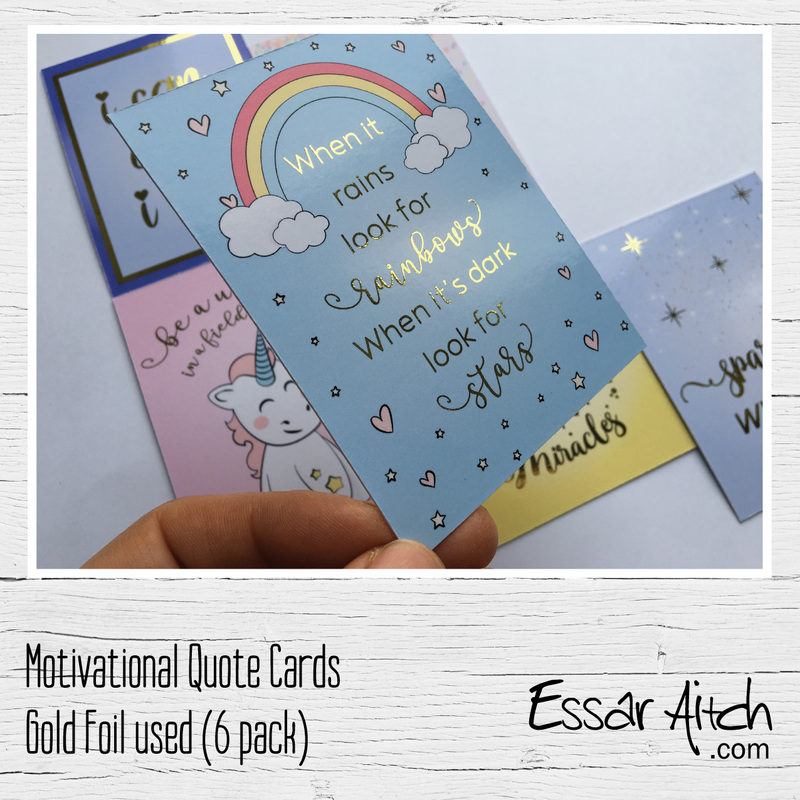 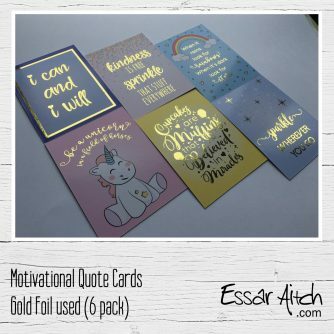 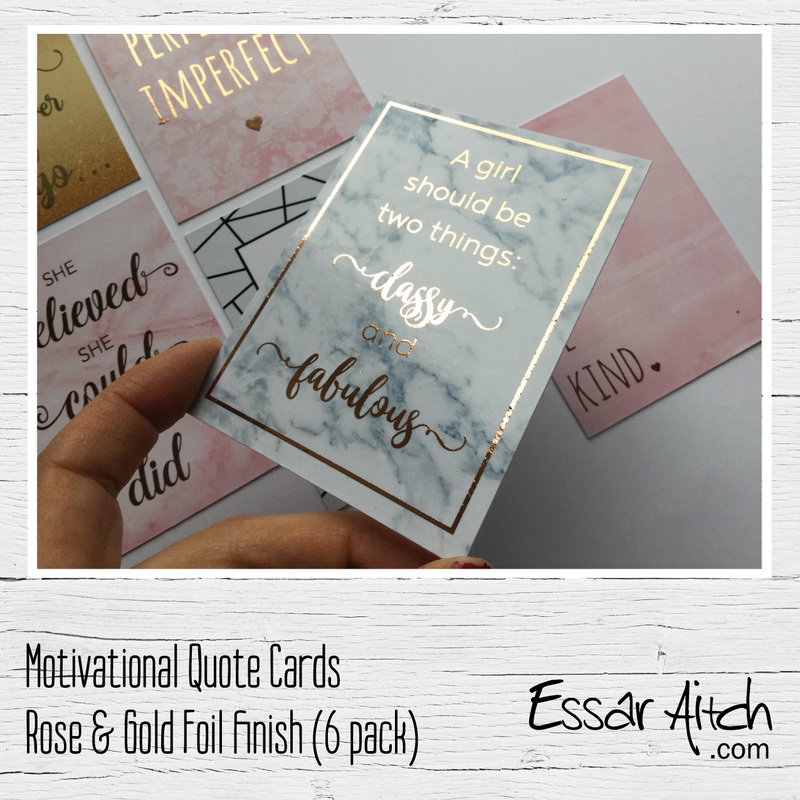 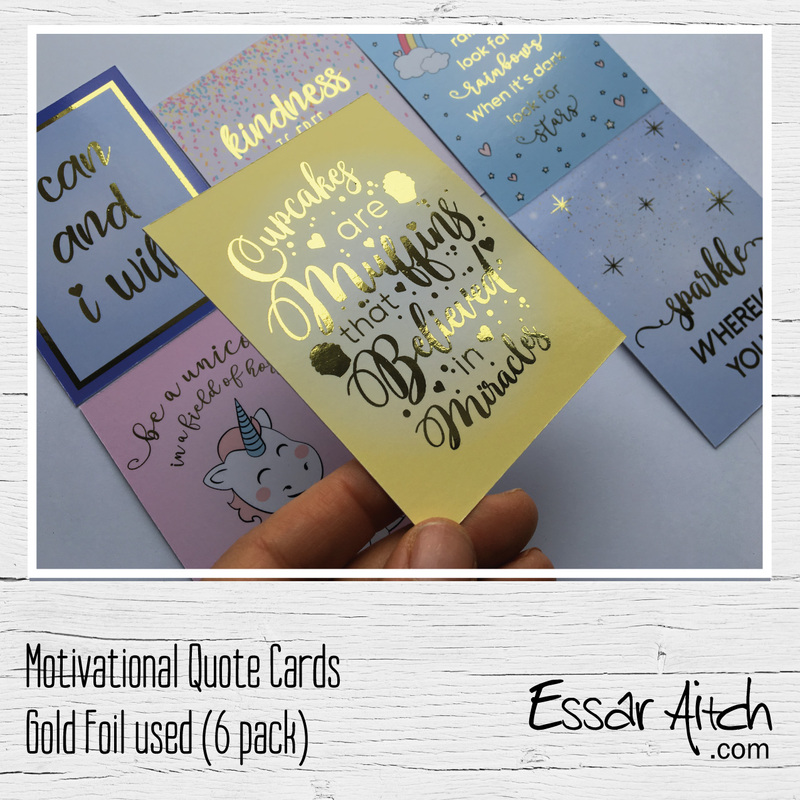 Motivational Quote cards – for your home, office, keep in your bag, to gift to a friend? 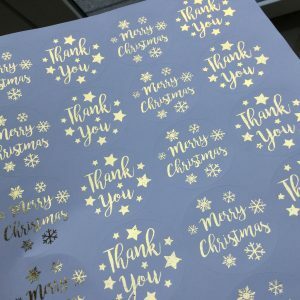 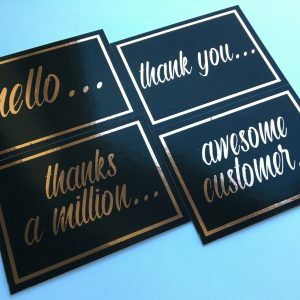 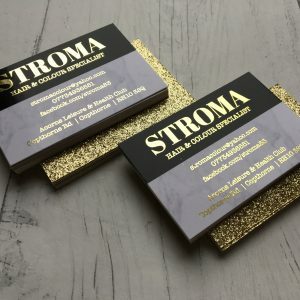 These super fabulous foil finish cards come in 2 sizes: Mini 75 x 100mm and Large 135 x 180mm. 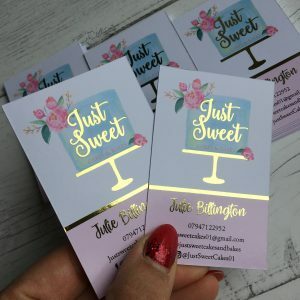 They are printed on gloss card and finished in Foil. 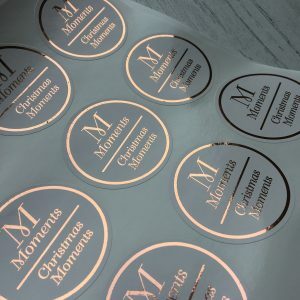 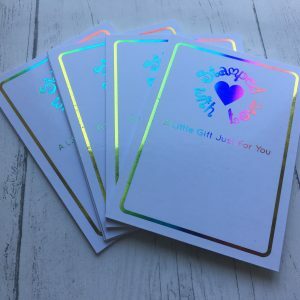 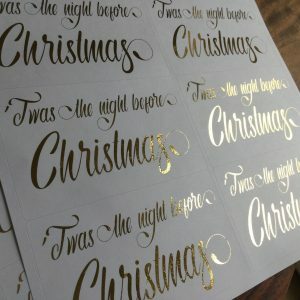 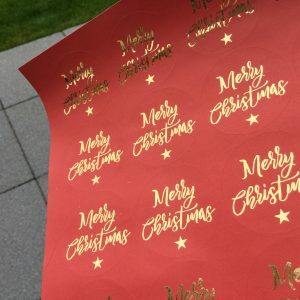 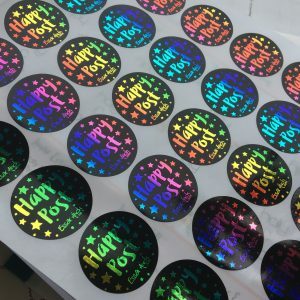 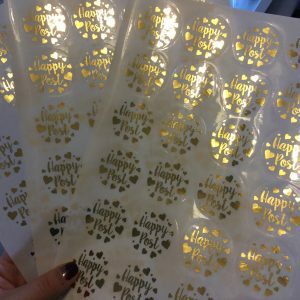 IF you’d like a DIFFERENT FOIL (NOT DESIGN) please make a note of it in the description box (choose from Gold, Rose Gold, Silver etc) No edits to the design are accepted. 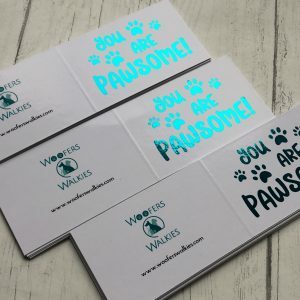 PLEASE make sure you tick correct boxes and add to cart before adding a set a different size. 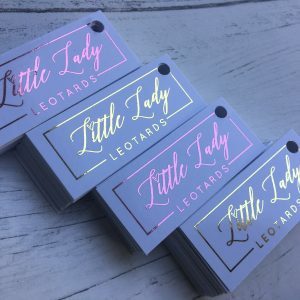 Discounts to be had on extra packs. 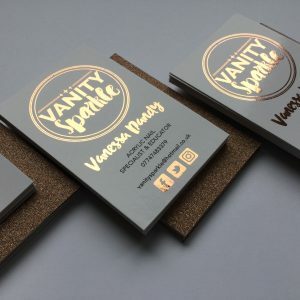 If you’d like a different design set and in a foil colour of choice then tick above – extra £8.00 for this service. 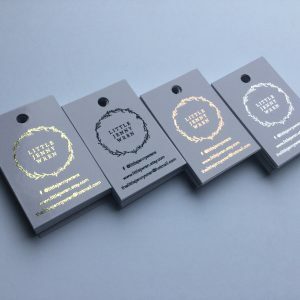 Note these items CANNOT be purchased with the intention of resale. 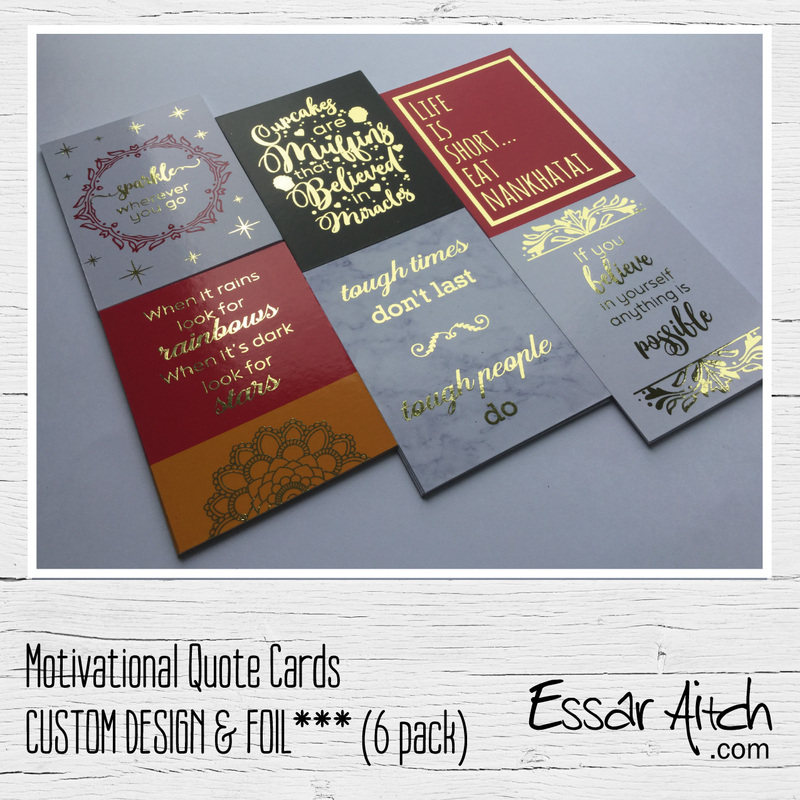 All design rights belong to Essar Aitch!